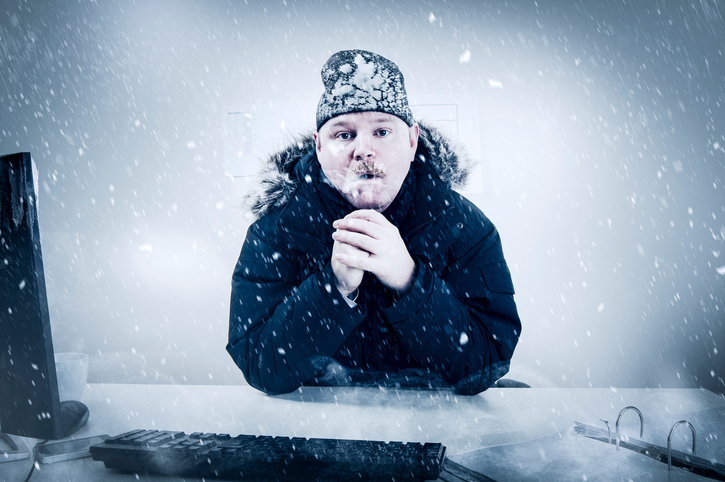 Is Your Workplace Heating System Ready for the Cold? “Boy, I really love going to work when it is supercold out and snowing heavily!”… said no employee, ever. As an employer, you probably don’t enjoy braving the ice and snow to get to the office, either. But if there is one thing that can make the most intense winter day even worse, it is having your workplace heating system suddenly conk out. Now, instead of warm, cozy, productive employees, you have cold, grumpy, distracted employees. And soon, you will have sick employees as well, which can leave you short-handed at exactly the wrong moment—right in the middle of the holiday rush. Happily, there is a simple, direct way to avoid this fate this winter season. All you need to do is make sure your workplace heating system has had its annual HVAC checkup. In this post, we will highlight the most important pre-winter HVAC/heater maintenance tips. When you go to your doctor to get a checkup, she looks in your throat and into your nose and ears and eyes, listens to your breathing and heartbeat, takes your pulse and heart rate, and makes sure all of your extremities are in sound working order. In the same way, during your heater’s checkup, your HVAC technician will check your heater’s heart (burner combustion and heat exchanger), lungs (air vents and air filters), energy connections (electric, oil, gas, propane, etc. ), and extremities (worn or broken parts that need repair, lubrication, or replacement). When the inspection and checkup is completed, you will know what is working well and what isn’t. In the case of an older heating system, you will have a better idea if the end is in sight and, if so, how long you have before replacing your heater is no longer an option. You can also make choices about minor and major repairs and maintenance to stave off any risk that your heating system might suddenly just stop working. While it can seem like a hassle to take time out of your already busy days to schedule a heating system checkup and inspection, it will be well worth the time you spend if it keeps you from having to schedule emergency repairs or a replacement in the dead of winter. Canadians spend up to 10 percent of their annual energy budget just on heating their homes. It is safe to say the same holds true for workplaces. Heating a space is expensive. It gets much more expensive when the thermostat is not regularly tested and calibrated to be sure it is accurate. This is a significant source of cost savings because the thermostat is what gives your heating system its marching orders. So if the thermostat is not calibrated accurately, you could be telling your heater to put out more heat than what your building truly requires. This is especially critical if you are using one or more programmable thermostats to control the heat output in different areas of your building. When it is working properly, a programmable thermostat is a simple tool that packs a powerful punch: programming it can save you up to 75 percent on heating costs in the winter. But here, even an extra degree or two of heat can quickly reverse those gains. So what you need to do is perform a test and use an independent heating measure to validate thermostat accuracy. Then you can calibrate your thermostat accordingly. More fires get started in the winter in Canada than at any other time of the year. Most years, the majority of these fires can be traced back to the heating system. The cleaner your heater is, the less risk there is of a winter fire. Here, cleaning the heating system includes cleaning the interior components (typically done during the inspection and maintenance checkup), the exterior housing, and the area around the heating unit. There should be a wide swath of space (3 feet or greater) all the way around the heating unit that is clean and clear of all debris, supplies, or other stored items. If you have a protective overhang in place, be sure it is sturdy and stable. Also, all pipes, vents, energy connections, ducts, and other passageways should be clean and clear of dust, dirt, debris and anything else that could potentially catch and transmit fire. All heating system controls and emergency shutoff controls should be tested and verified, and all alarm systems (smoke, carbon monoxide) should be tested and verified. The same holds true for your office fire extinguishers. The winter holidays bring with them lots of opportunities for warmth, festivities, and good cheer. They also bring lots of fire risks in the form of holiday trees, festive lights, fireplaces, portable heaters, candles, overloaded electrical circuits, wood-burning stoves, oil and kerosene lamps, and more. If you are planning any workplace festivities that could present a fire risk, be sure your workplace employee safety committee is well versed in emergency response procedures and watchful for any possible risks while celebrations are going on. Shipton’s Heating & Cooling has been a part of the local community for nearly a century. Every year, our multi-generational family looks forward to enjoying our traditional holiday celebrations, complete with delicious edibles, warm beverages, and lots of good company. But before the holidays arrive, we are out and about each and every day, inspecting, checking and maintaining our clients’ heating systems to be sure they will stay safe and sound all winter long, at home and at work. 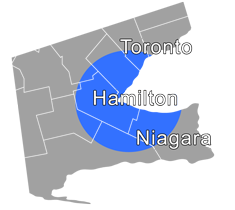 Contact us at 905-549-4616 or online.